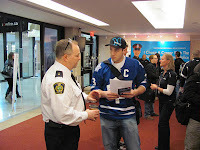 Brock CareerZone Blog: Police Recruitment Showcase-Success! Tuesday January 24, 2012 was a HUGE sucess! 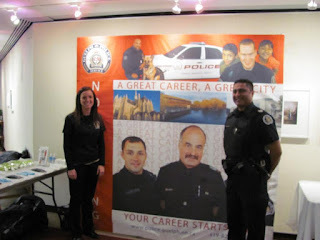 With over 10 recruiters from various policing units, and over 100 students in attendance, everyone walked away with a deeper understanding, more knowledge, and questions answered. 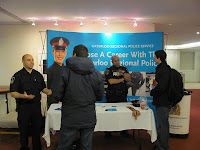 The recruiters as well as our Career Service staff were extremely impressed by the calibre of questions, depth of interest, and overall professionalism of all attendee’s. 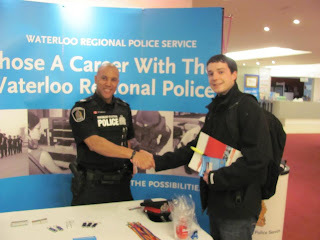 Waterloo Regional Police mentioned that this was one of the best recruitment events they have attended and particularly impressed by the variety of students from various programs. 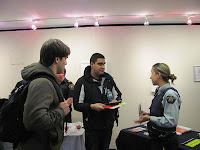 The event was student powered and sucess driven. 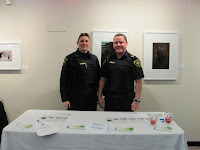 Thank you to all those who attended!